Glipizide and metformin, both these drugs are used in the treatment of type 2 diabetes. Glipizide is an oral, rapid and short acting, anti-diabetic drug belonging to the class of medications called sulfonylureas. Glipizide lowers blood sugar by causing the pancreas to produce insulin and helping the body use this insulin efficiently. This medication will only help lower blood sugar in people whose bodies produce insulin naturally but the body is not being able to utilize it well due to resistance to the insulin. 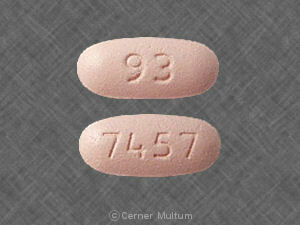 Metformin is in a class of drugs called biguanides. Metformin helps to control the amount of glucose in your blood. It decreases the amount of glucose you absorb from your food and the amount of glucose made by your liver. Metformin also increases your body’s response to insulin, a natural substance that controls the glucose metabolism in the body. Glipizide is not used to treat type 1 diabetes in which the body does not produce insulin and, therefore, cannot control the amount of sugar in the blood in diabetes type 1 or in cases of diabetic ketoacidosis. Glipizide is only part of a complete program of treatment that may also include diet, exercise, weight control, and testing your blood sugar. Follow your diet, medication, and exercise routines very closely when on glipizide. Before starting glipizide, you should make sure that it’s safe for you to take it. Inform your doctor if you have kidney or liver disease, chronic diarrhea or a blockage in your intestines, glucose-6-phosphate dehydrogenase deficiency (G6PD), a disorder of your pituitary or adrenal glands, a history of heart disease, or if you are malnourished. Metformin is the first-line drug of choice for the treatment of type 2 diabetes in particular, in overweight and obese people and those with normal kidney function. It is also used in the treatment of polycystic ovarian syndrome and has been investigated for other diseases where insulin resistance may be an important factor. It helps reduce LDL cholesterol and triglyceride levels and is not associated with weight gain, in fact, in some people it even promotes weight loss.It is the only antidiabetic associated with reduced risk of cardiovascular complications in those with type 2 diabetes mellitus. Glipizide causes dizziness, rash, hives, blisters, jittery feeling, and uncontrollable shaking of a part of the body, red or itchy skin. Sometimes it may cause adverse reactions like yellowing of skin or eyes, light colored stools, dark urine, fever, sore throat, unusual bruising or bleeding. The most common side effect of metformin is gastrointestinal irritation, including diarrhoea, cramps, nausea, vomiting and increased flatulence, heartburn, headache, flushing of skin, nail changes, muscle pain etc. The most serious potential side effect of metformin use is lactic acidosis this complication is very rare, and the vast majority of these cases seem to be related to co-morbid conditions, such as impaired liver or kidney function, rather than to the metformin itself. Metformin has also been reported to decrease the blood levels of thyroid-stimulating hormone in people with hypothyroidism. Higher doses and prolonged use are associated with increased incidence of vitamin B12 deficiency. Glipizide and metformin both are oral anti-diabetic drugs for type 2 diabetes. Both these drugs can be used in combination with other drugs to control diabetes. But along with taking these drugs improving your lifestyle, eating habits and exercise is a must to control diabetes. rachita. "Difference between glipizide and metformin." DifferenceBetween.net. May 31, 2018 < http://www.differencebetween.net/science/health/difference-between-glipizide-and-metformin/ >. I take metformin and glipizide. I have extremely dry mouth and my lips are puffy all the time any help?